When was the last time you made a purchasing decision without fully researching the product or service beforehand? The way people buy has changed due to the fact that information is so easily accessible on the Internet today. Because of this, the way you market to your customers has to change as well. Instead of marketing by chasing customers and hard selling, you must adapt. Outbound marketing tactics, such as direct mail and telemarketing, are losing their effectiveness as people want to be more informed. These outbound tactics focus on making a statement about their company or product with the hopes of selling that service or product to customers. However, customers these days are not interested in being sold to. They have grown up having the Internet at their fingertips and they can research any topic in the blink of an eye. To keep up with the new age of customers, you must market differently. Instead of being told what to buy, customers want to learn all about the different options for solutions to their problems and choose the one they feel fits them best. This is where inbound marketing comes into play. 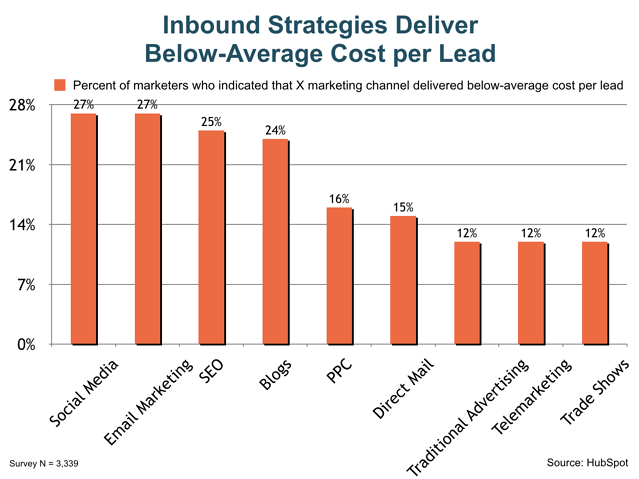 Studies show that the cost per lead for leads generated through inbound marketing techniques are less expensive for companies than leads generated through outbound marketing techniques. Customers are responding to techniques like SEO, topic clusters for content, and other forms of inbound marketing and it is costing companies less money to generate more leads by using these techniques in their strategies. Creating a Buyer Persona to determine your target audience is the first step to creating an Inbound Marketing strategy. Download your free Buyer Persona template to get started! How Do I Incorporate Inbound Marketing Into My Marketing Strategy? Inbound marketing focuses on providing customers with valuable and educational information through a four-step methodology. This methodology guides customers through each stage of the buyer's journey which allows the customers to learn about your company and make purchasing decisions without being sold to. The first step of the Inbound marketing methodology is to attract your potential customers. The goal of this stage is to turn strangers into visitors. This is accomplished through creating and distributing valuable and relevant content across a variety of channels that provides solutions to the problems your customers are facing. 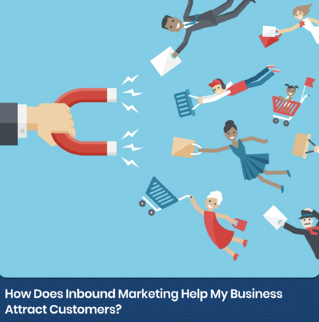 Learn how to attract visitors using Inbound Marketing here! The second step of the methodology is to convert your potential customers. This will turn your visitors into leads. This is accomplished by using your content to guide your visitors to your website or landing page. By proving to them that you can provide them with valuable content and answers to their question, they will be willing to give you their contact information in return. This then turns the visitor into a lead. 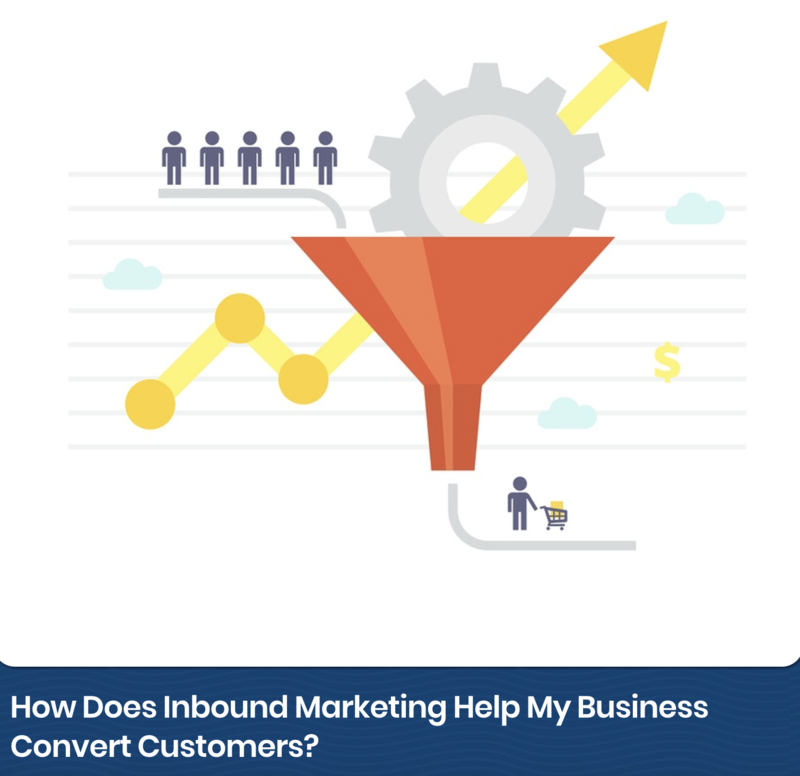 Learn how to convert more visitors using Inbound marketing here! The third step will allow you to close the sale and turn your leads into customers. After your visitors have become leads, you cannot just wait for them to decide to make a purchase. To close your leads as customers, you must continue to interact with them. Guide them towards the close by using lead nurturing campaigns that continue to provide them with valuable content. Don’t stop when you make a conversion! Learn how to close your leads utilizing Inbound marketing methods here. The final step of the Inbound marketing methodology is to delight your customers. This will turn those customers into promoters. Continue to interact with your customers once they have closed. Provide them with excellent customer service and continue to offer them relevant content and information. This will encourage them to become promoters of your company on social media and other review sites as well as encourage repeat business. Inbound marketing doesn’t end after a sale. 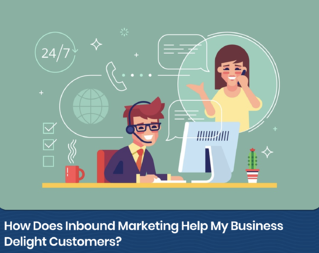 Learn how to continue to delight your customers using inbound marketing methods here! 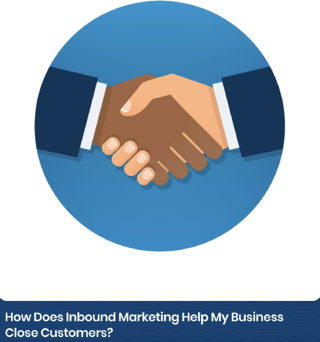 How is Inbound Marketing Beneficial to My Business? Point solutions are a thing of the past. These days, a fully integrated marketing campaign produces greater results than focusing on one single solution. 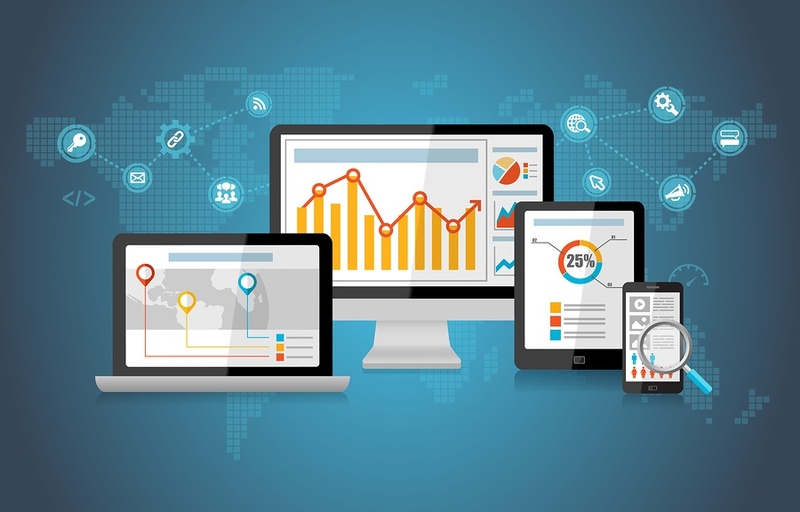 Inbound marketing methods allow you to create a comprehensive strategy that stretches across multiple channels which gives you maximum exposure and more opportunities to connect with people. Utilizing the four-step inbound marketing methodology encourages the customers to come to you instead of chasing after them. By determining your business goals, taking the time to research your target audience, and utilizing inbound marketing methods, you will be able to create a marketing strategy that is tailored specifically to your company using tools and tactics that are best suited to achieve your goals. The best way to see results from your Inbound Marketing strategy is to calculate the correct metrics. Download our Marketing Metrics calculator to see the numbers that matter!